General category would cater to all non-technical items like introduction, discussion regarding diet etc. 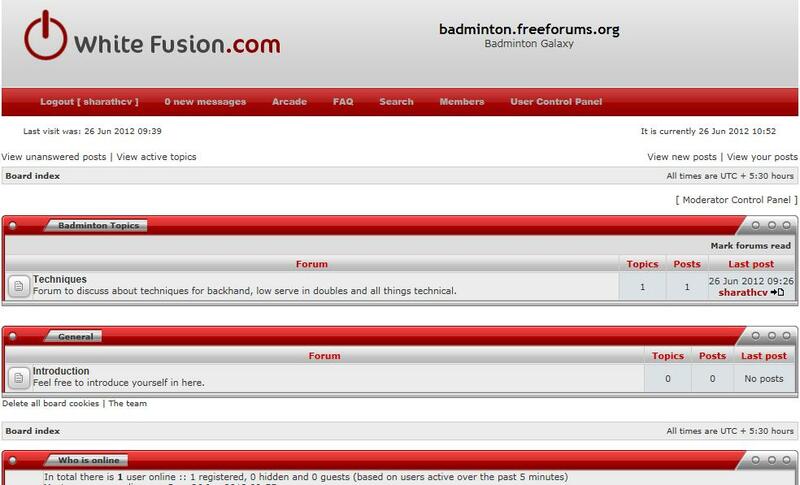 Badminton Topics category would cater to all technical items like Footwork, backhand clear, low serve etc. Feel free to drop me a mail/comment on how I can improve the forum (content, layout, colors etc.). I will be adding number of categories and forums as and when I get time. If you have any specific category or forum that needs to be added, please let me know.